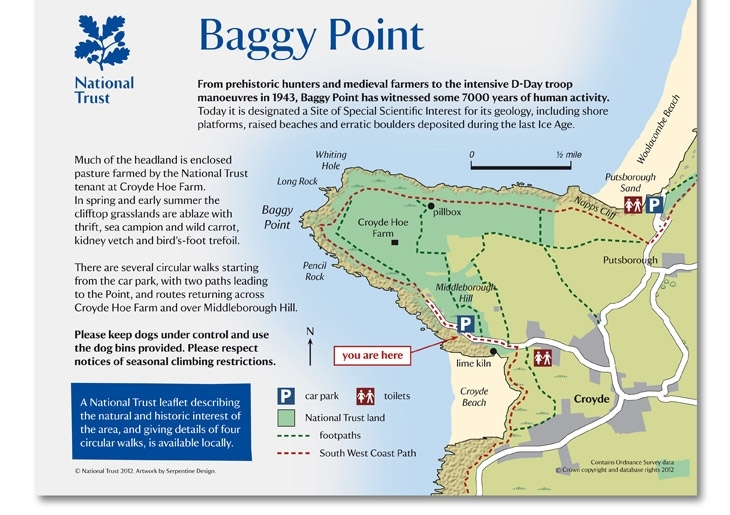 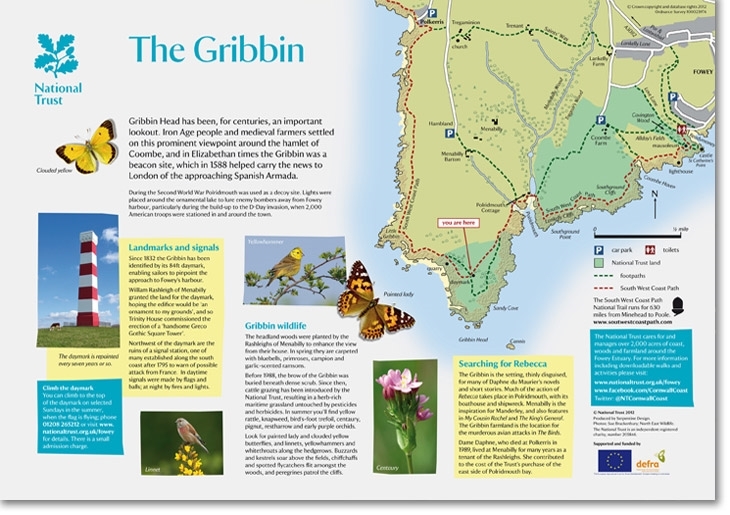 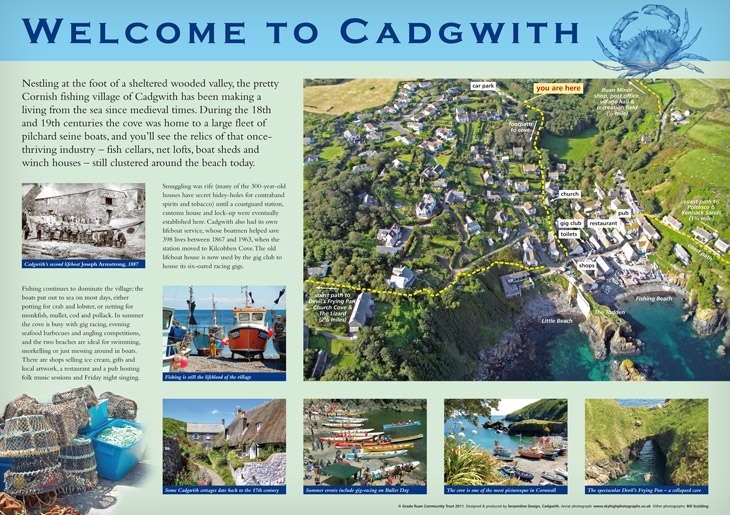 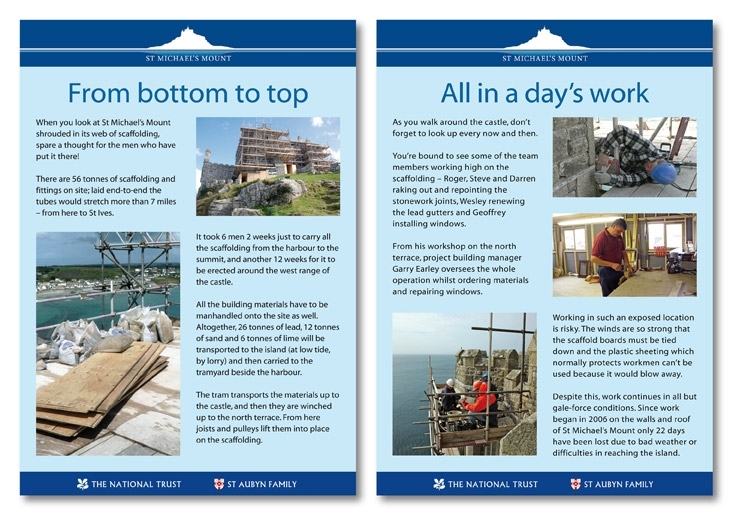 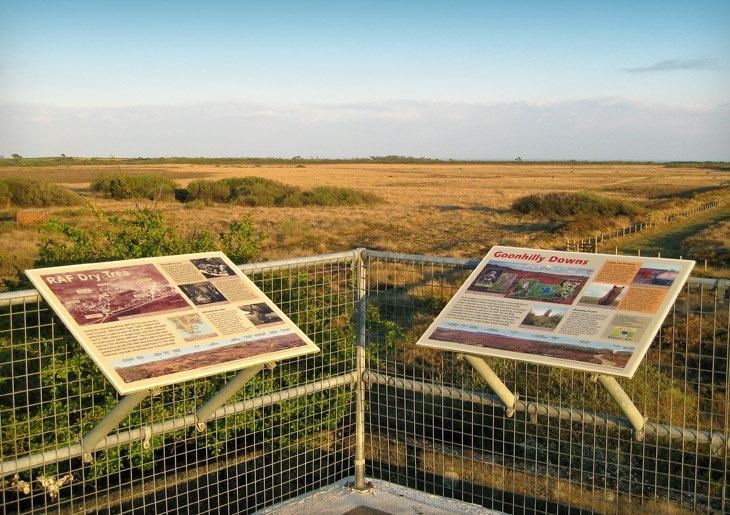 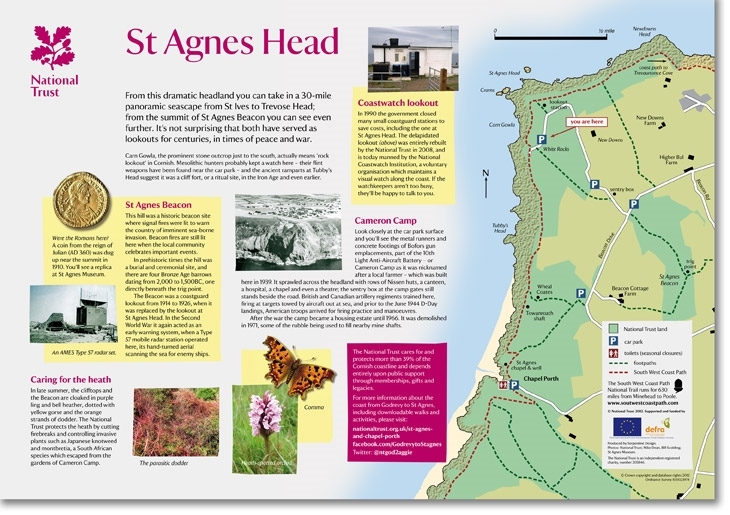 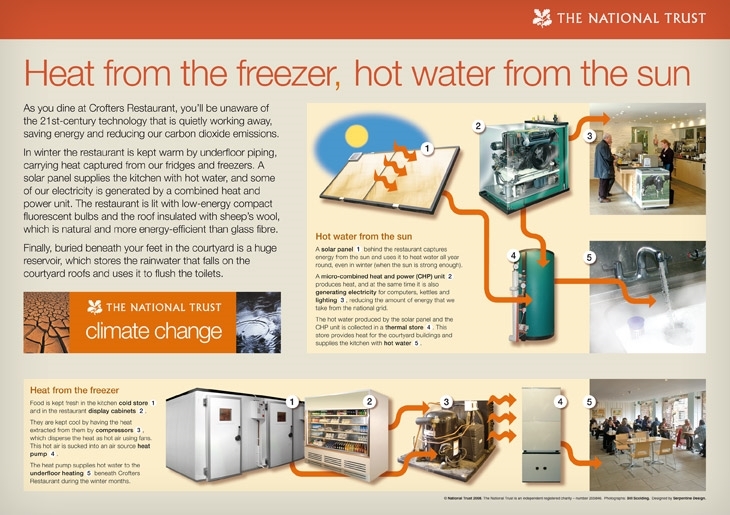 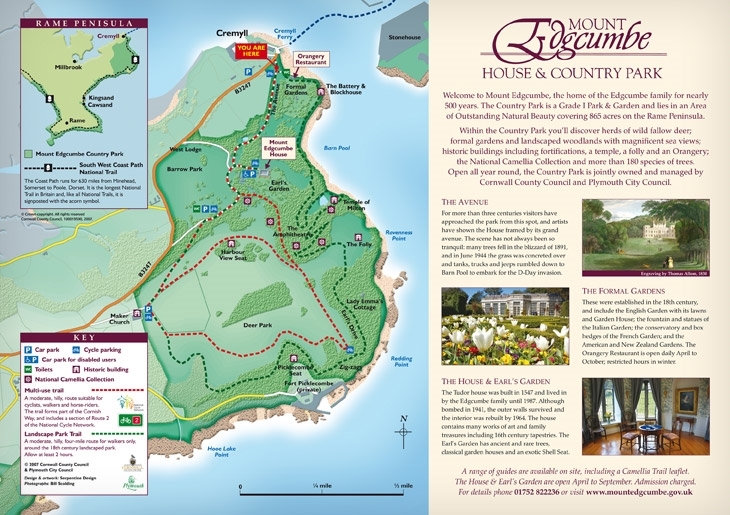 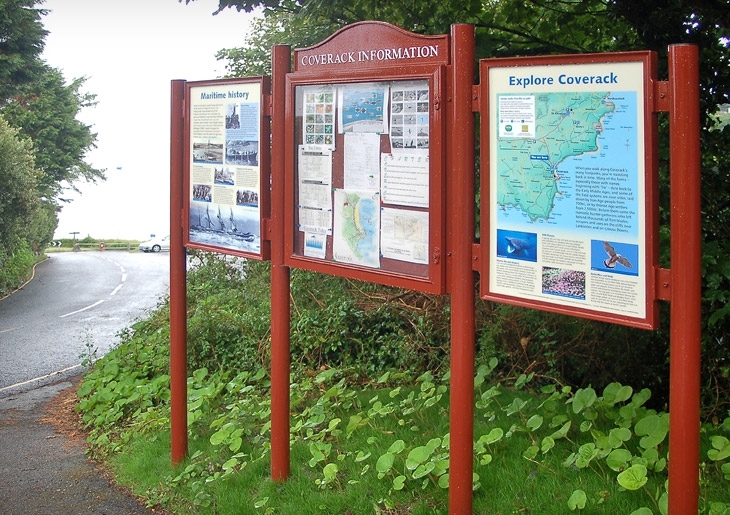 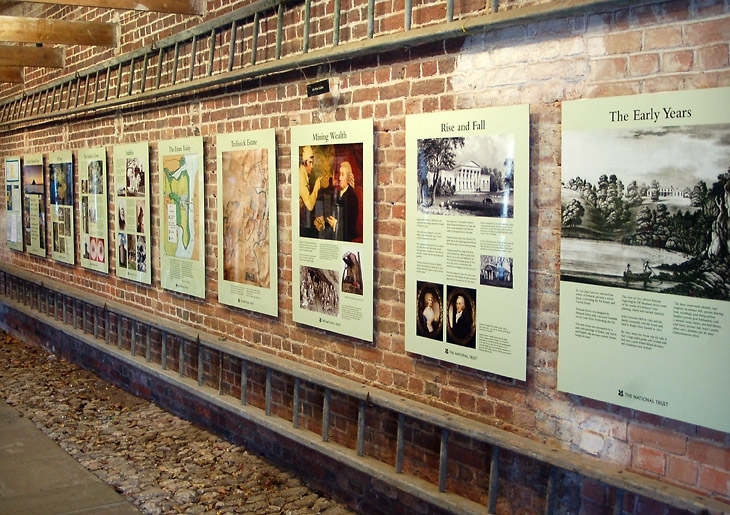 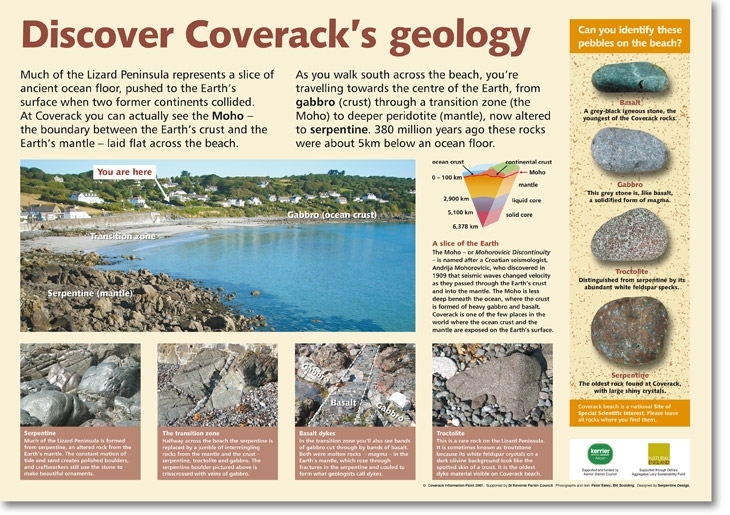 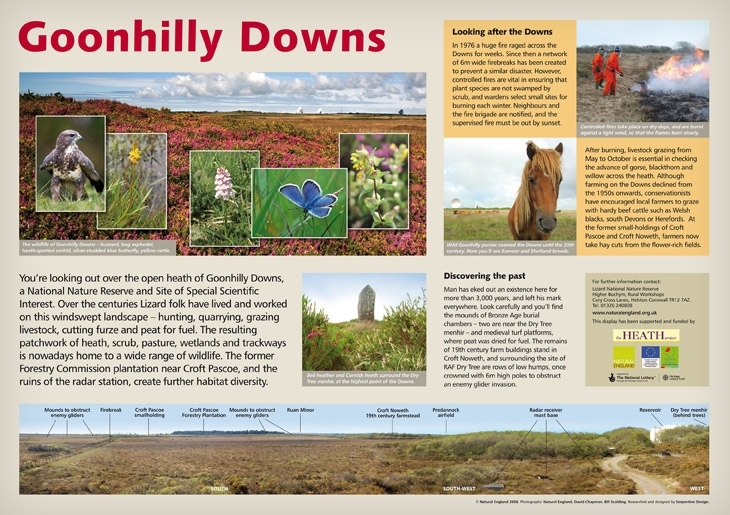 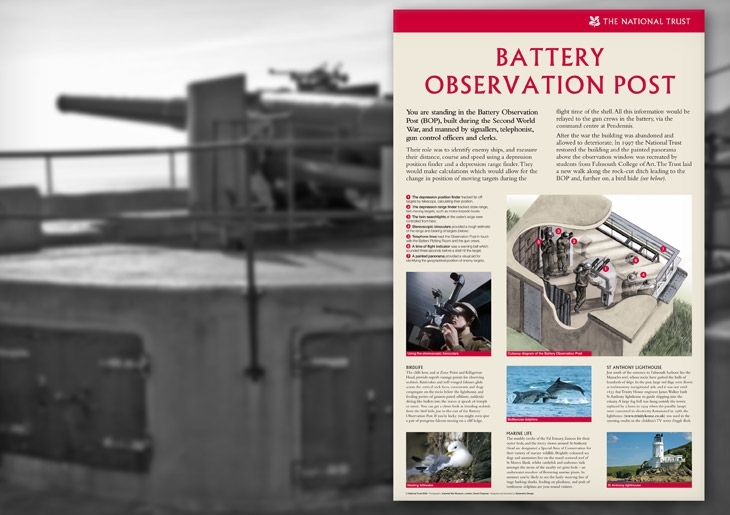 We’ve been producing National Trust interpretation displays for 20 years, and our panels now adorn coastguard stations, wartime gun emplacements, the visitor receptions of historic houses and gardens, and plinths in coast path car parks. 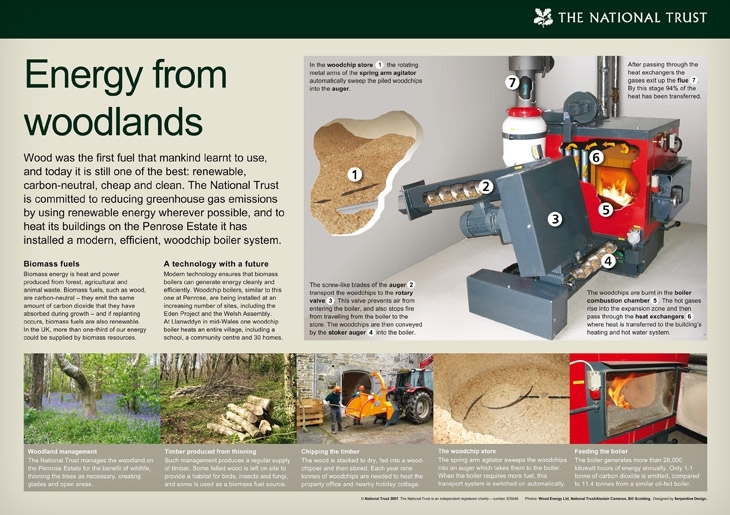 Many panels feature our trademark maps, detailed illustrations of industrial processes or cutaway photo-montages of machinery. 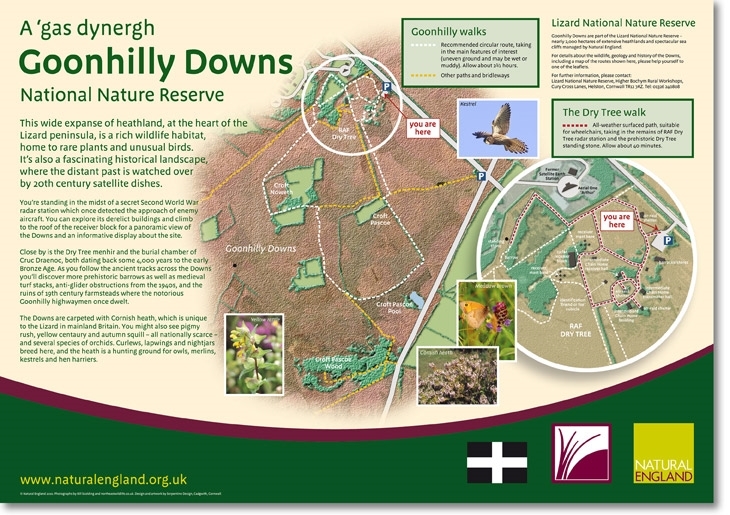 We’ve also produced outdoor interpretation for Natural England nature reserves, district and parish councils, and village community trusts. 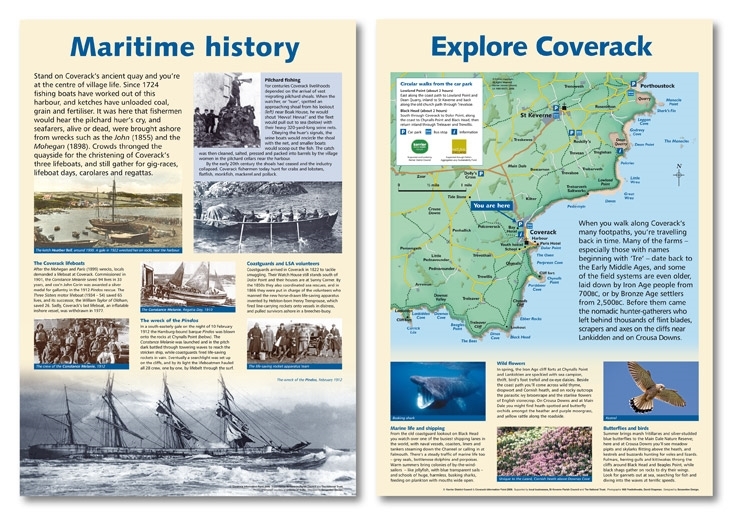 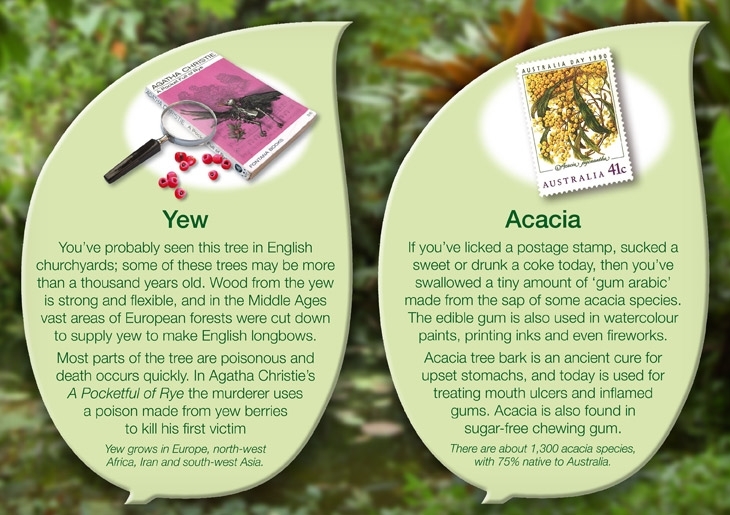 Usually we research and write the text, and supply the maps, photographs and illustrations.